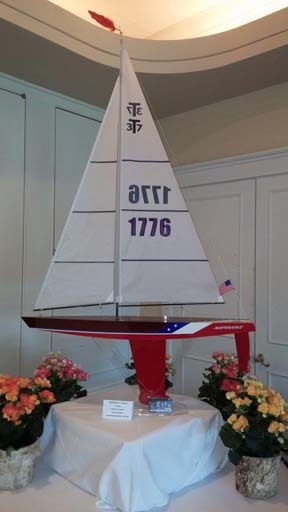 Beautifully hand crafted model sailboats that you control from shore with a line. 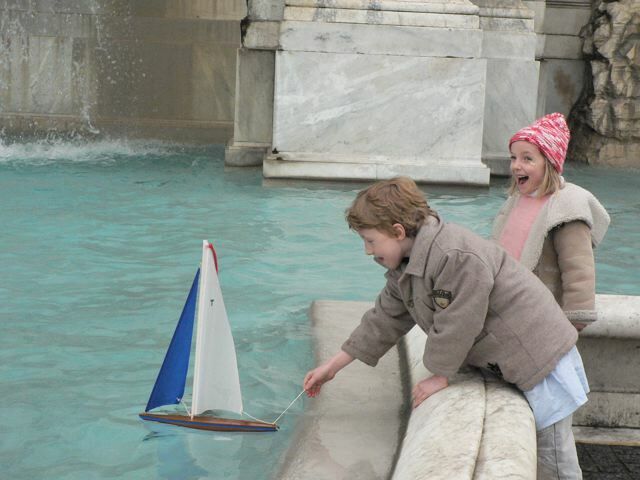 Our free-sailing boats range in size from 5" to 18". These boats sail wonderfully and provide hours of entertainment. 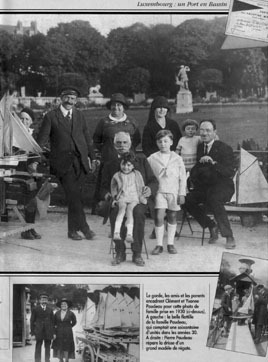 Youngsters love setting the boat off and watching it sail away, a little tug on the string from shore and the boat tacks around and sails home. These boats come as a kit or finished. With the kit you can customize the boat however you like with a special paint job or a few extra coats of varnish. They are lots of fun to build with kids! Finished boats are also available and are crafted with quality and care. 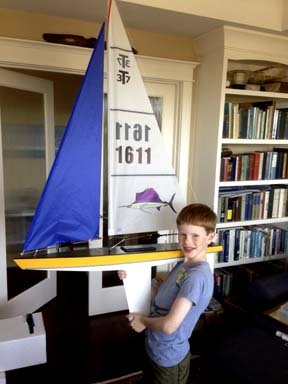 Check out our free-sailing boats here. 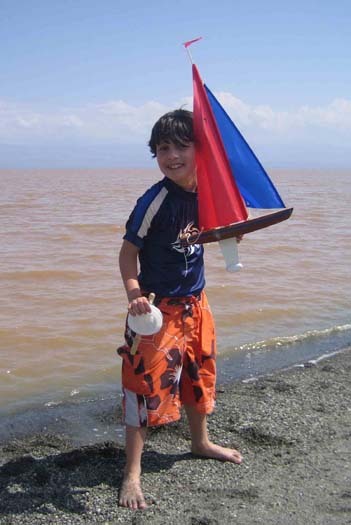 Our remote control boats come with everything needed to sail. 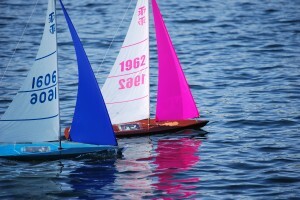 RC boats range in size from 27" to 65". These boats are controlled via remote control which is included in the kit. You have the option of choosing either a kit to build yourself, or a professionally finished boat custom ordered to your specifications. RC boats are great for racing! They are fast and easy to build. 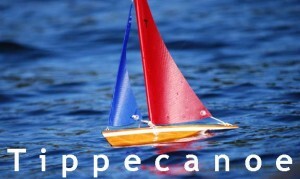 Visit our RC sailboats page for more details.